Comfortable living. Traditional pleasure. Right in the middle of Innsbruck. 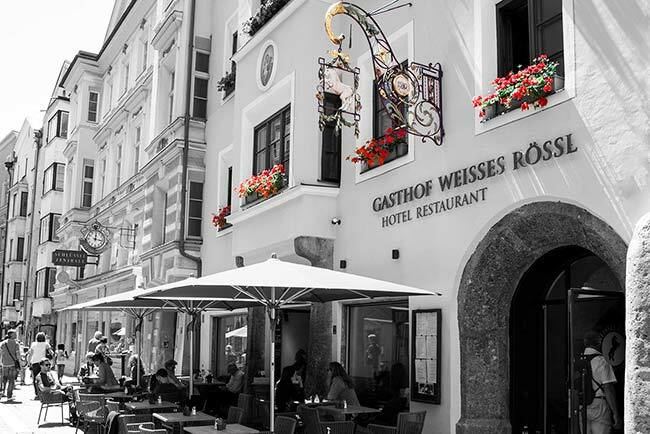 Away from the hustle and bustle, yet right in the middle of Innsbruck’s historical city centre and only a few steps away from the famous Golden Roof is the Weisses Rössl, our Old Town Hotel & Inn. Located in the so-called “Vier-Viecher-Eck” (Four-Beasts-Corner) and once surrounded by the Golden Lion, Red Eagle and Golden Deer, our establishment, the White Horse, is the only member of the beastly inn group which still operates. Travellers were already able to find a place to stay here as far back as the year 1600. Meanwhile “The Rössl” (“The Horse”), as the Innsbruckers like to call it, has been managed by our family for the past 100 years. 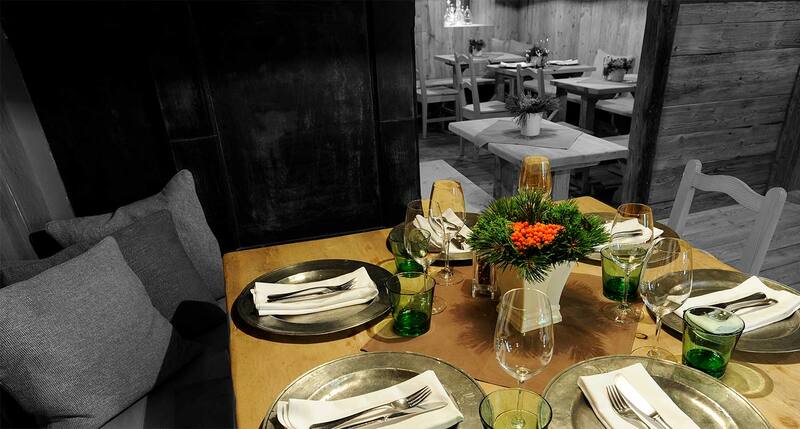 Currently, the 4th generation is at the helm and has managed to turn a typical Innsbruck inn into a feel-good place for travellers from all over the world. Even today, in this historic location you can feel the pulse of a living city, the zeitgeist of a modern society, yet still sense an awareness for quality and enjoyment. Our guests therefore experience comfortable rooms which combine modern living with a cosy ambience, and enjoy cuisine which gives Grandma’s traditional recipes that international touch. Pay us a visit at the “Rössl” and experience one of the most beautiful cities in Austria. Surrounded by walls filled with history, at the Weisses Rössl you will stay in bright and modern rooms, some of them with a bit more space, yet all comfortable, cosy and renovated with attention to detail. 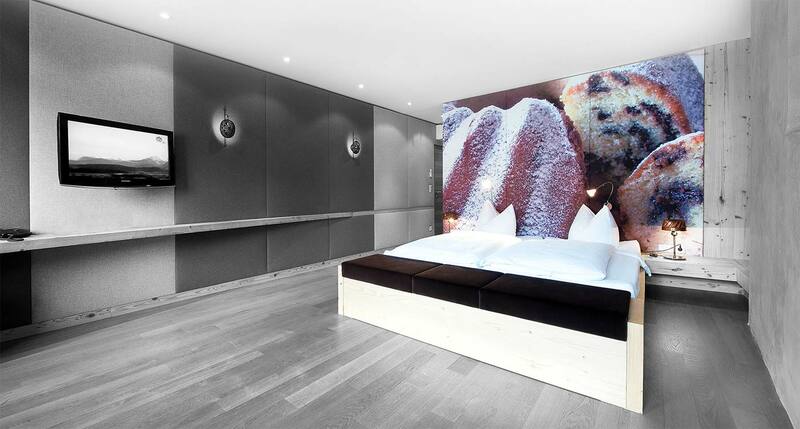 Situated right in the heart of Innsbruck, yet away from all the hectic rush of this beautiful city, we have created the perfect feel-good oasis where you can relax and linger a bit. Here you will enjoy 21st century comfort, as well as experience medieval flair and a modern style of living. After some exciting sightseeing, you can look forward to a restful sleep at the Weisses Rössl Hotel, your home away from home. If you are looking for traditional Tyrolean cuisine and appreciate fresh top quality products, you have come to the right place. Whether it is the hearty classics of traditional Tyrolean cuisine or their lighter more modern versions, we serve the finest specialities suited to the season. You can enjoy our traditional culinary delicacies in the cosy lounges of our restaurant, the medieval vaulted cellar of the Rössl Bar, as well as in the warm sunshine on the beautiful terrace of our Old Town Inn. 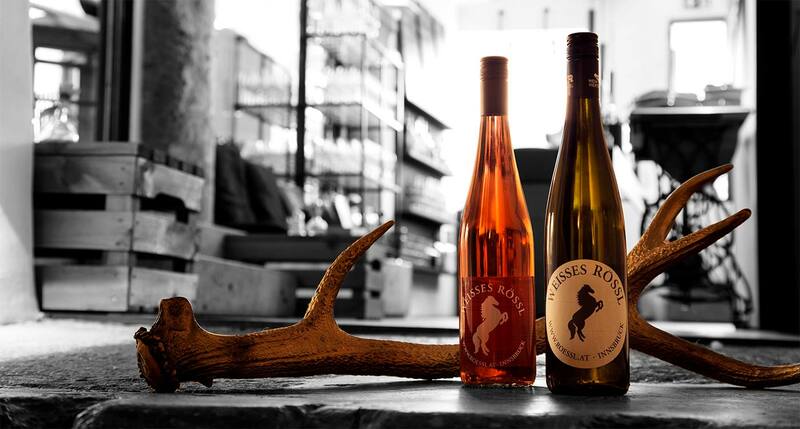 Romantic and rustic, with a mix of tradition and modern zeitgeist – that is what our Rössl Bar is all about. This is the perfect place for our daytime visitors and hotel guests to linger and savour the moment. Simply start your day with our exclusive Rössl coffee, enjoy our hearty creations for lunch and indulge in a glass of beer or wine in the evening in the pleasant ambience of our Rössl Bar. Here you can experience many enjoyable hours in a delightful and convivial atmosphere at nearly any time of night or day right in the middle of Innsbruck’s Old Town.